Your investment in a Krone machine shows that you demand high quality and functionality. Using parts from the original manufacturer is the only way to ensure your machine will maintain its peak performance well into the future. 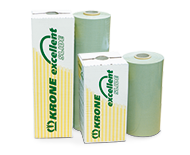 All Krone parts are approved to the highest OEM standards, ensuring longevity, value for money and reducing the cost of repair.